Living in New York City definitely has its perks. One of them being that you can find pretty much every cuisine imaginable, and more often than not, it's right in your neighborhood. For us, takeout is a weekend staple. And we almost always go for sushi. 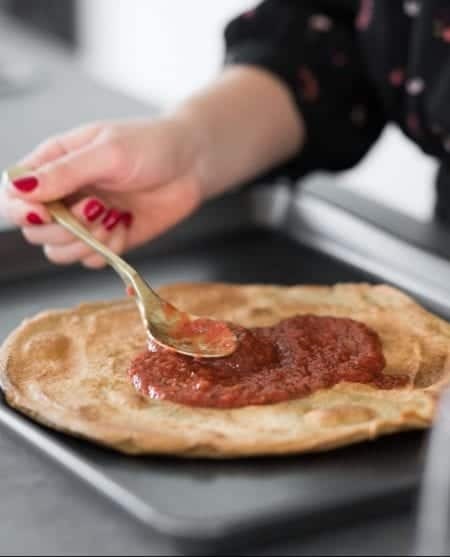 It's simple, reliable and always delicious. But there are times when I a) don't want to spend the money and b) am not feeling like having yet another cucumber avocado roll wrapped in starchy white rice. So why not make it at home, right? 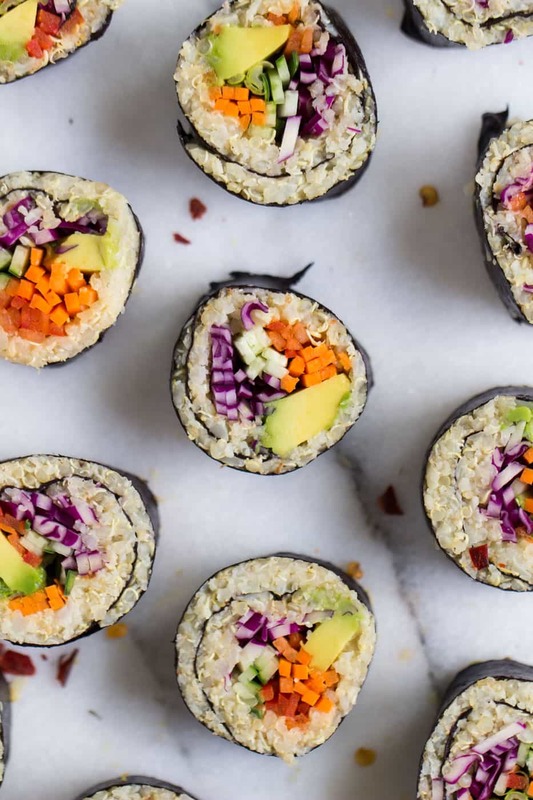 Sushi is way easier to make at home that you might think. 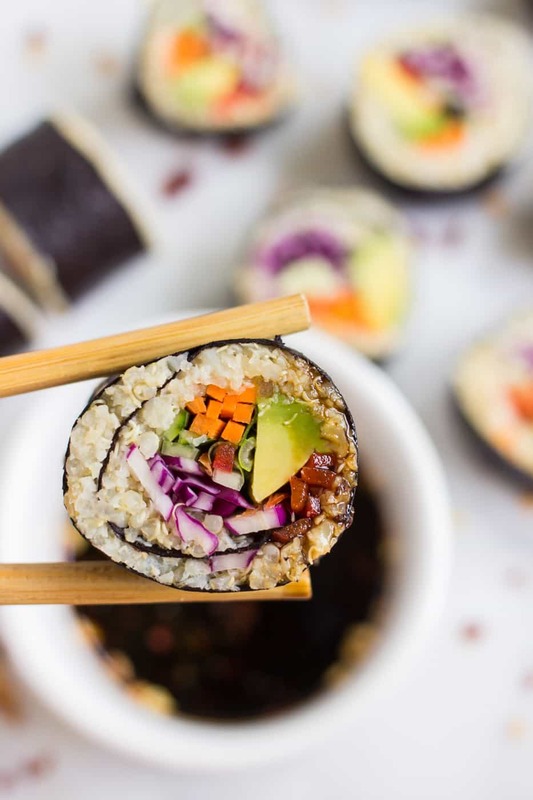 You need just a few simple ingredients and you don't even need to own a bamboo sushi mat (although it does make them easier to roll). I wanted to keep my sushi on the lighter side, so instead of traditional white sushi rice I did a combo of quinoa and cauliflower rice. I wasn't quite sure how it was going to turn out, but I loved it. The cauliflower helps make it a little stickier, but still keeps it super light. For my fillings, I went with a rainbow of my favorite veggies: purple cabbage, cucumber, red bell pepper, carrots and avocado. Not only was it bright and colorful, but there was a nice blend of crunch and sweetness, all rounded out with the creaminess from the avocado. 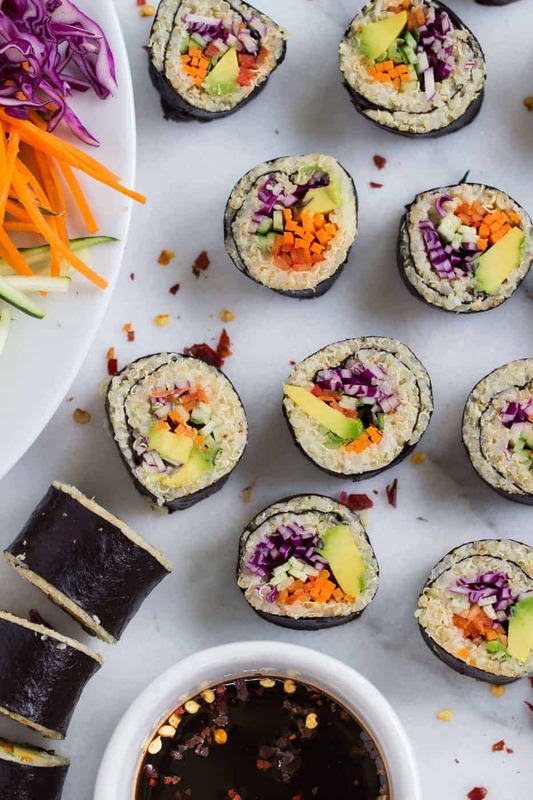 If you are looking to amp up the protein content of these rolls, you could also add in tofu, shrimp, chicken or any sort of fish/meat. 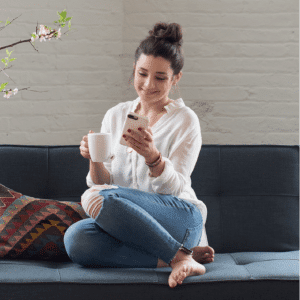 It's super customizable, so go with whatever you like the best! 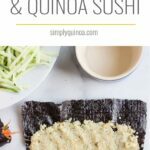 I think you're going to love this healthy spin on sushi! I find that it's much less filling than rice-based sushi and I don't feel it sitting in my stomach hours later. 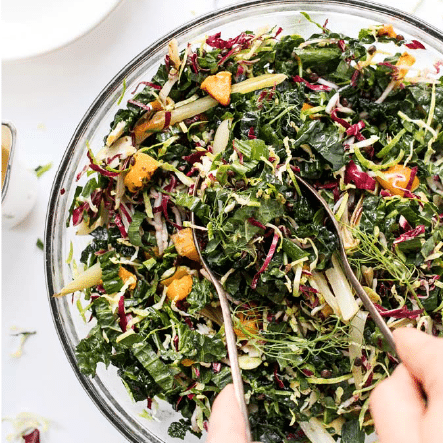 I also love that I can sneak in an extra serving of cruciferous vegetables without ever knowing it! What are you favorite sushi fillings/combos? Now that I nailed down this cauliflower rice-quinoa mixture, I'm seeing a lot of homemade sushi in my and Matt's future. Would love some of your recommendations! And if you end up giving this recipe or any of the other recipes from SQ a try, don't forget to tag @simplyquinoa or #simplyquinoa so I can find your picture and give it some love! Not only is it bright and colorful, but there was a nice blend of crunch and sweetness, all rounded out with the creaminess from the avocado. Preheat the oven to 425ºF. Line a baking sheet with parchment paper and set it aside. Remove the stem from the cauliflower, then chop it into florets. 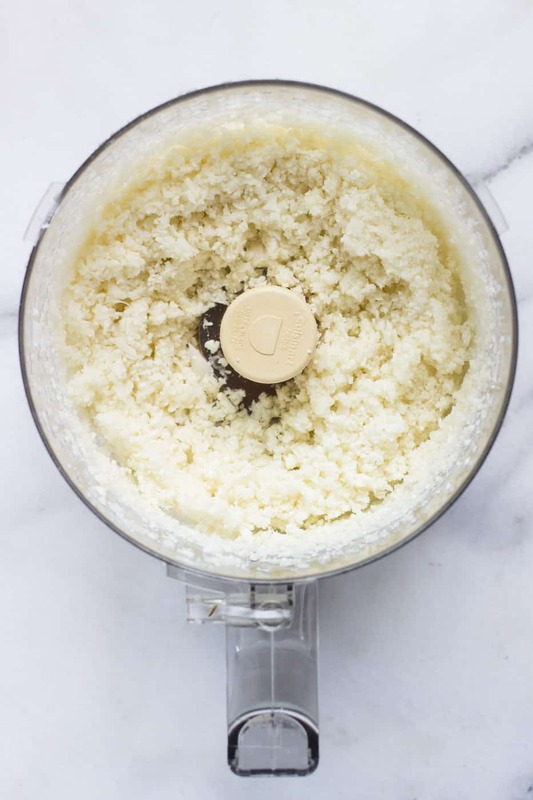 In batches, add the florets to a food processor and process until a "rice" texture is formed. 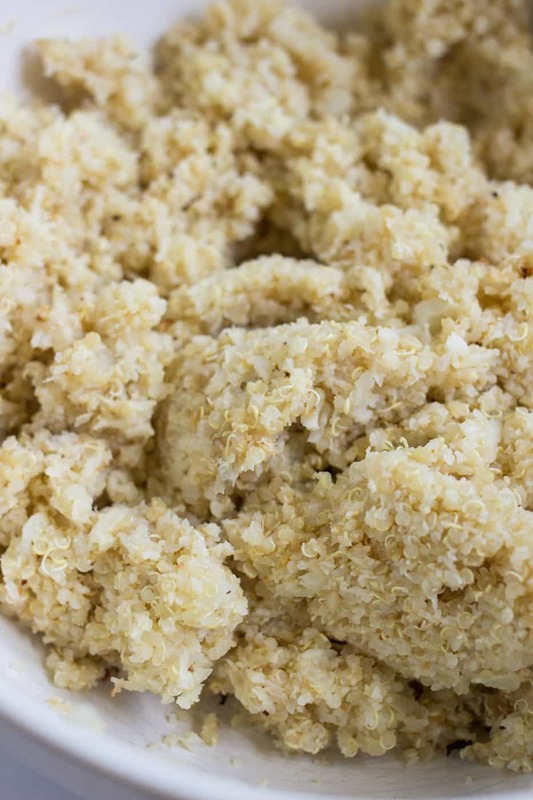 Transfer the cauliflower rice to the baking sheet and repeat with the remaining florets. Drizzle the rice with 1 tablespoon of olive oil, then roast in the oven for about 30 minutes, stirring every ten minutes. When there is about 10 minutes left in the cooking, add the quinoa and water to a small saucepan. Bring the water to a boil, cover and reduce to simmer until the water has been absorbed and the quinoa is fluffy. While both the cauliflower and quinoa are still hot, transfer them to a large mixing bowl. Add the tamari, vinegar and ginger. Stir vigorously, almost squishing the mixture together, until it becomes sticky. 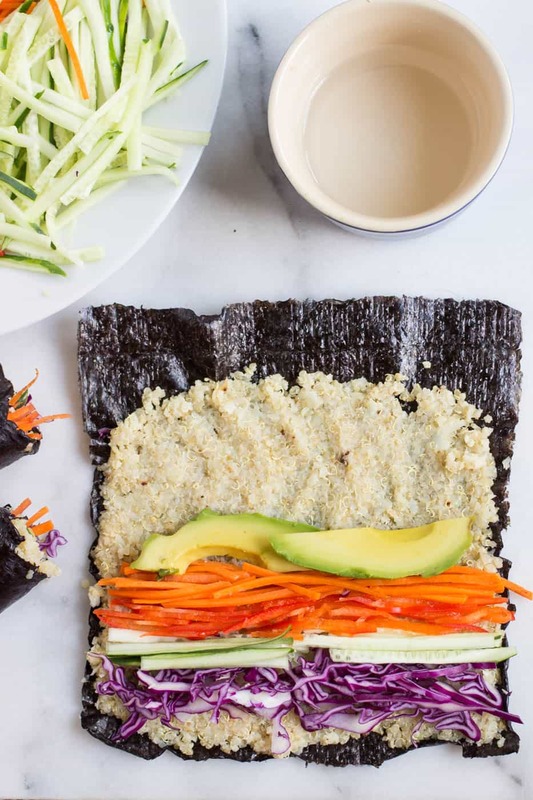 When ready to assemble the sushi, place one nori sheet onto a flat surface. Add 1/3 cup of the rice mixture to the sheet and spread it onto the sheet, leaving about 1/2" space at the end farthest from you. Lay the the veggies down first, then top with sliced avocado. Lift the edge of the nori (or mat if using) that is closest to you with your thumbs, holding the filling ingredients in place with your middle fingers. 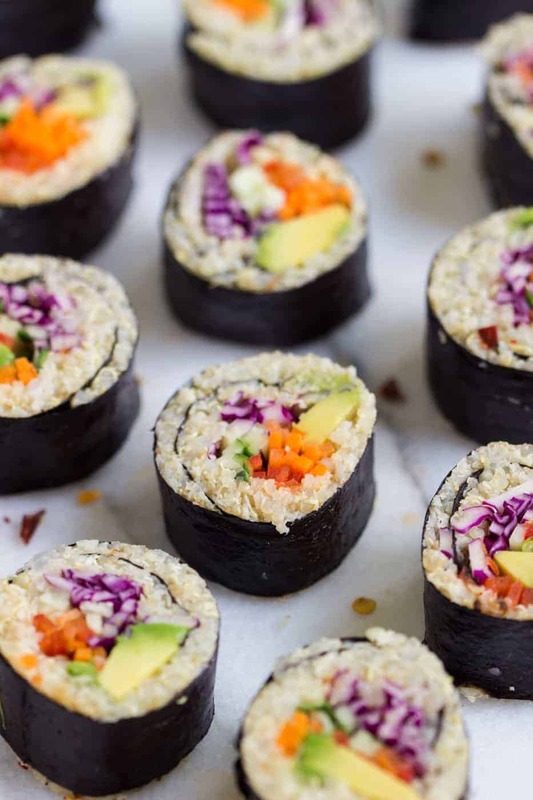 Roll the nori over the ingredients, pulling back and tightening it after each rollover. Wet the uncovered edge and roll through. 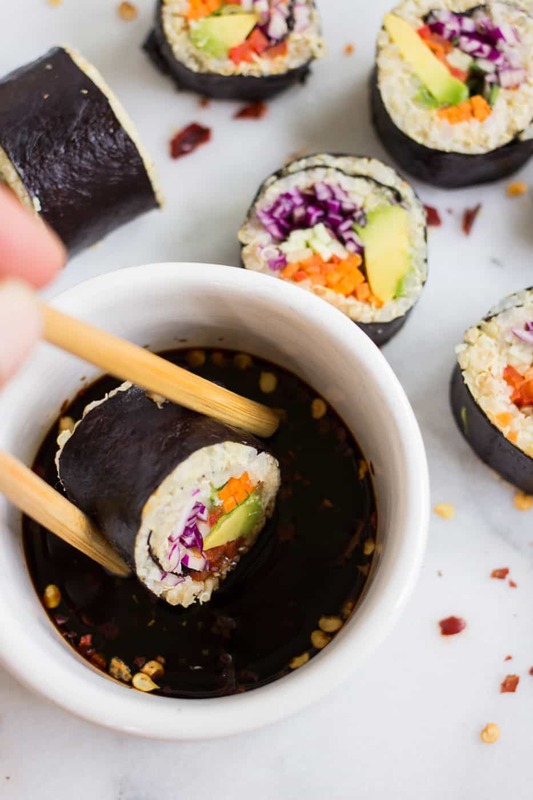 Gently squeeze the sushi roll (or rolled mat) to secure all the ingredients. Place the rolls in the fridge while you assemble the rest of your sushi. When ready to serve, remove them from the fridge and slice each roll into 8 pieces, using a sharp, wet knife. Serve with gluten-free soy sauce and red pepper flakes. 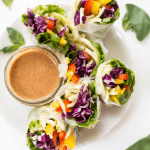 I’m confused about the nutritional facts of this recipe…there are 2 different labels, & also unsure of the serving sizes….are they per person or by single rolls…? How many pieces equal a serving..? Thanks! Made this today for a vegan birthday party. Packed the rolls and sliced and plated when I arrived. I took 4 Asian dipping/drizzling sauces (peanut, Gyoza, plum and hot pepper oil) and it worked out great. Perfect stickiness that they did not unroll or fall apart. Thank you for the recipe. YAY! So great. The sauces sound amazing!! Cannot wait to try this! I already have some tricolor quinia in the fridge that I need to use up! I have about 1/2 cup cooked. Should I half the recipe? Thank you! BRILLIANT. 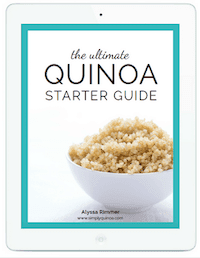 Love the use of quinoa. I can’t have cauliflower is there something you think would work as a proper replacement? Maybe zuchinni? Potato? Rutabaga? Radish?